More and more network carriers worldwide are upgrading their LTE networks to LTE advanced or LTE-A pro. 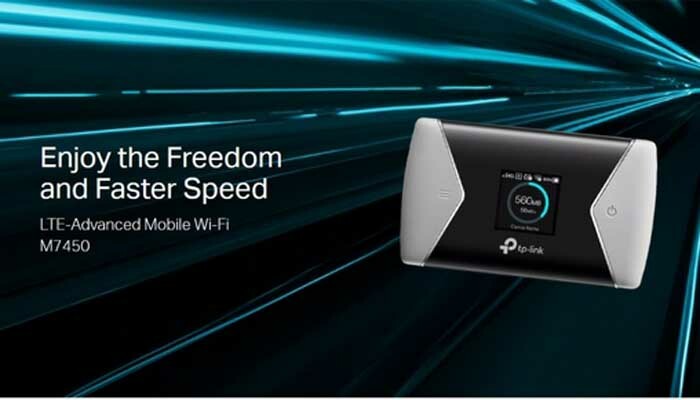 To enjoy fast internet speed and better surfing experience, customers are demanding the latest LTE advanced or LTE Advanced Pro devices so as to get possible fastest speeds. 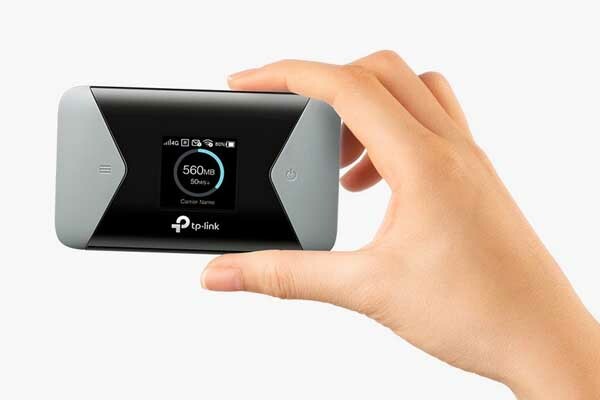 TP-link M7650 mobile WiFi and Huawei E5788 mobile WiFi hotspot are two latest new LTE hotspots for global users. 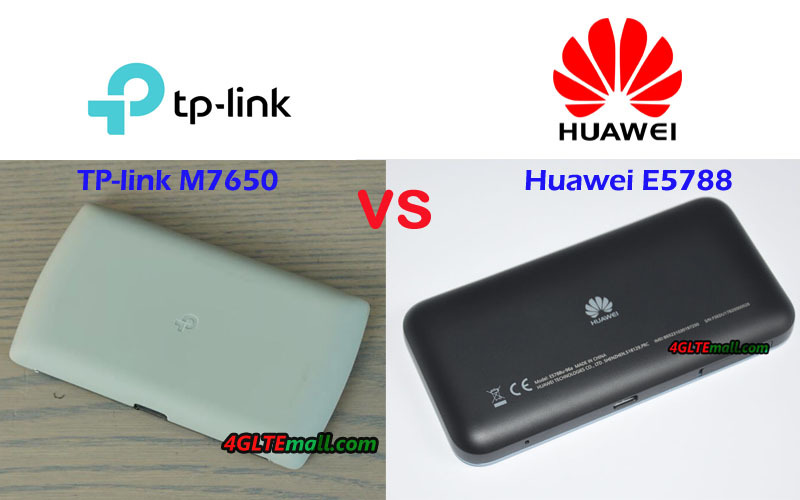 But what’s the difference between Huawei E5788 and TP-link M7650, many people may don’t quite know. 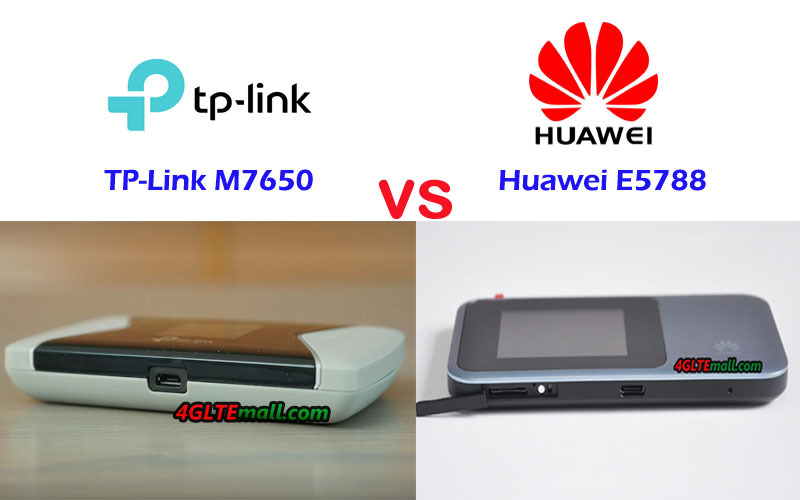 We will compare the TP-link M7650 with Huawei E5788 from the aspects of appearance, interfaces, specs, prices and other features. 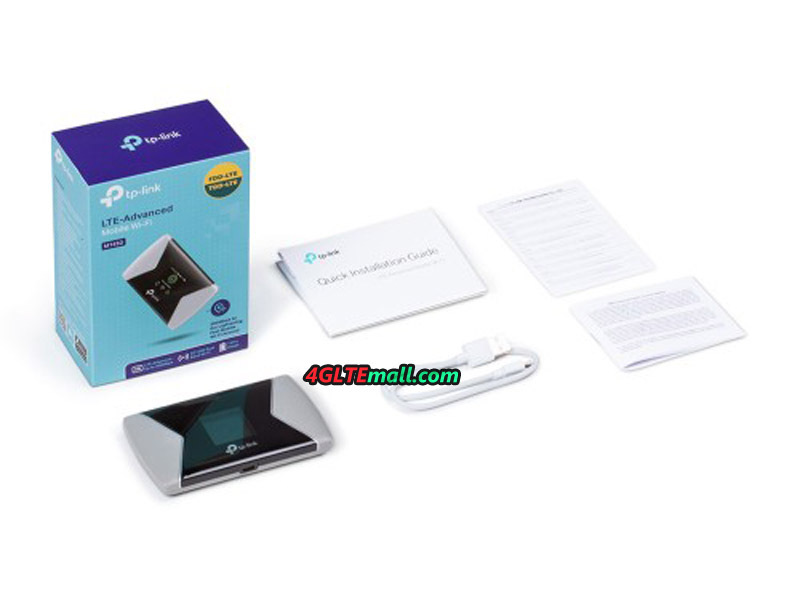 You will get the answer which LTE MiFi is better to buy. If you had read the review for TP-link M7650, you may know the appearance feature of M7650. It has a display on the front, but as a TP-link LTE advanced mobile WiFi, it’s a pity that it’s not a touch screen. The home button and power button are at the two sides of the display. There are also no connectors for external LTE antennas. In other similar 4G LTE mobile WiFi hotspots such as Netgear Aircard 810s and Huawei E5787, the touch screen and two antenna connectors are the basic configurations. 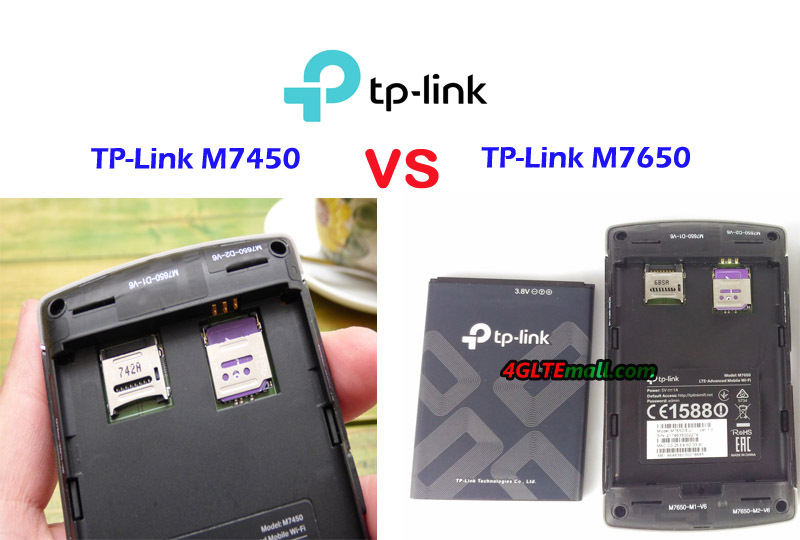 The back cover of TP-link M7650 Mobile WiFi could be opened and the battery is removable. As the latest Huawei LTE pocket WiFi, Huawei E5788 has a touch screen, where users can see the connection status and do simple settings. The Huawei logo is at the side of the display. The power button is at the top edge side while the opposite side locates the USB 4.0 Port. However, the Huawei E5788 also doesn’t configure the antenna connectors. Unlike TP-link M7650, Huawei E5788 battery is built-in and non-removable. The SIM card slot is at the side of the USB port, not below the back cover. From the appearance, we can see the two high-end LTE mobile WiFi hotspot both don’t have the connector for the external antenna. However, the Huawei E5788 has a touch screen, which seems to be more user-friendly. The appearance may not tell the core difference of the Huawei MiFi VS TP-link MiFi. 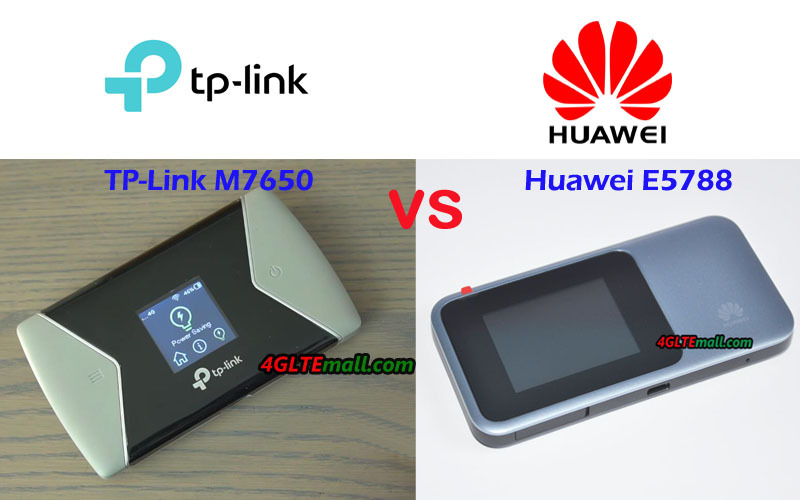 Then let’s have a comparison of TP-link M7650 specs and Huawei E5788 specs, and other features that matter the applications of TP-link VS Huawei MiFi. From the specs table, we can see the Huawei E5788 is technically more advanced than TP-link M7650. Huawei Mobile WiFi E5788 hotspot could support LTE Cat.16 and capable of download speed up to 1Gigabit/s while the TP-Link M7650 is capable of LTE Cat.11 and could achieve download speed to 600Mbps. They both don’t have variant models now. Huawei E5788 supports 4 X 4 MIMO and 4CC CA LTE technologies. However, they both don’t have the external antenna connectors, which are very common in LTE advanced mobile WiFi hotspots. They are both configured with 3000mAh battery, but TP-link M7650 battery is removable while the Huawei E5788 is non-removable. And the two mobile hotspots both could be managed via an APP, which could be downloaded from Google Play or Apple store and installed in a smartphone. 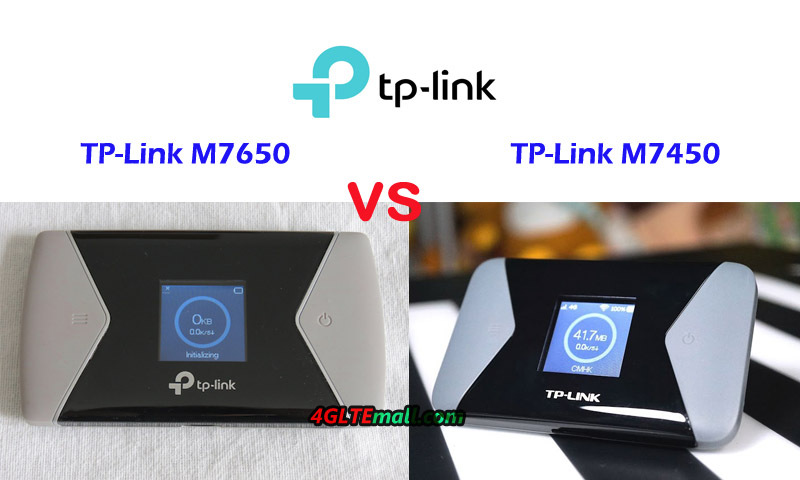 As TP-link and Huawei most advanced 4G WiFi Router, the TP-link M7650 price and Huawei E5788 price are not cheap now. 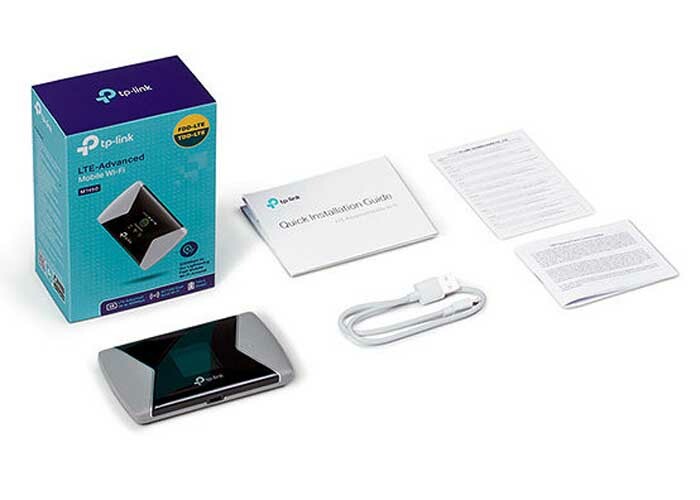 However, comparing with the similar LTE pocket WiFi hotspot Netgear AC810S, TP-link M7650 price is a little bit expensive (See Netgear AC810 VS TP-link M7650). Huawei E5788 price is also not cheap, but on the advanced feature, it’s worth the price. If you want a lower price, you have to wait for the price down.